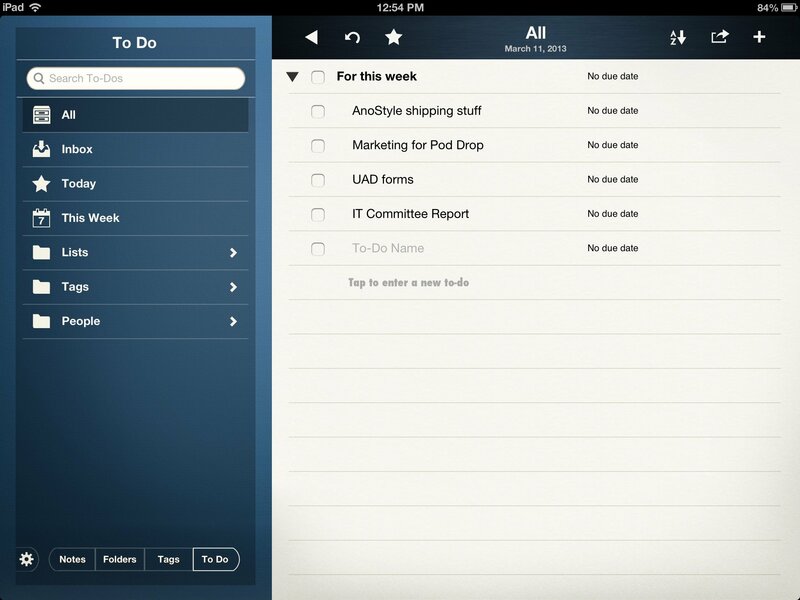 Projectbook for iPad is a note taker and to-do app that aims to streamline how you organize your data. Instead of using a note taking app and a to-do app separately, Projectbook allows you to keep them all in one place, minimizing the need for multiple apps to stay on task. You also have the ability to take handwritten notes or even draw which makes Projectbook ideal for almost any class or presentation setting. When you first load up Projectbook, you will notice that only landscape orientation is supported. It's somewhat of a bummer that portrait isn't even an option but if you use a keyboard case or plan on taking extensive notes, landscape is probably the orientation you're going to prefer anyways. The left hand column of Projectbook is where you'll find your navigation. Along the bottom you can toggle between notes, folders, tags, and to-do's. The rest of the screen off to the right is used for you to take notes, draw, or map out your to-do lists. To create a new note or to-do, tap on the plus sign in the upper right hand column and pick which one you want to create. 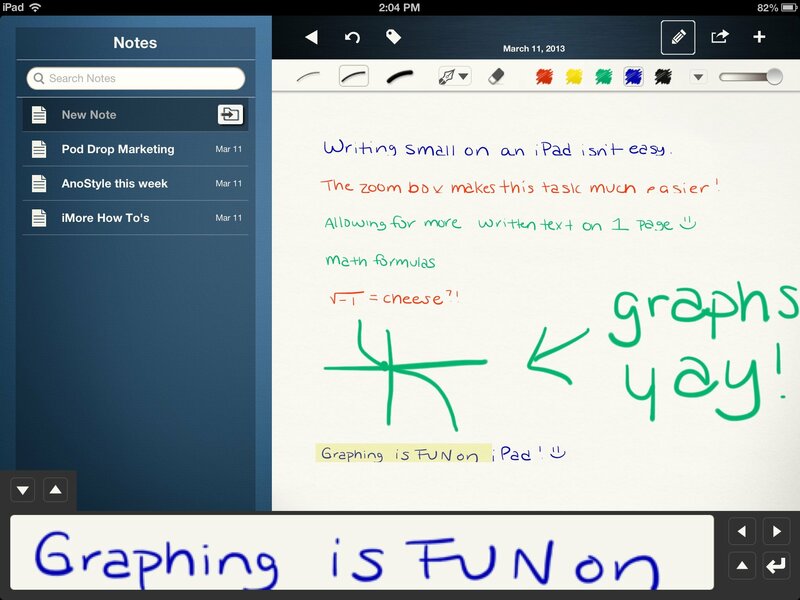 Notes allow you to create text based notes or written notes. You can also search for context within a note for other notes matching that item which makes searching for items a lot quicker. This makes Projectbook great for anyone who has drawing classes or have a need to create items with symbols or mathematical equations that are difficult to enter on a traditional keyboard. To switch to drawing mode, just tap the pencil in the top navigation and you'll be given different brush stroke sizes, pen tools, erasers, colors, and more. Projectbook also has a feature when in drawing mode that's makes handwritten notes much more legible and manageable and that's the zoom box. Instead of writing or drawing text in the main space, you can use the zoom box. This will auto-scale your handwriting down so it fits much more content on one page. Whether you're using your finger or a stylus, it's hard to write small on an iPad while maintaining legibility. The zoom box is an awesome solution and works extremely well. Tasks in Projectbook are easy to create and manage. You can set due dates, create multiple lists with nested lists inside of it and more. When setting up a new to-do, the first checkbox will be the name of the list. Everything underneath it will then become nested. Checking off the main to-do item will mark the entire project as complete. As you do things, you can mark them off individually as well. When creating text notes or to-do's, you'll get a keyboard that has a specialized top row of keys that allow you to easily insert bullets, checklists, text formatting, and more. You can also choose to insert photos, audio recordings, things from an email, and more. 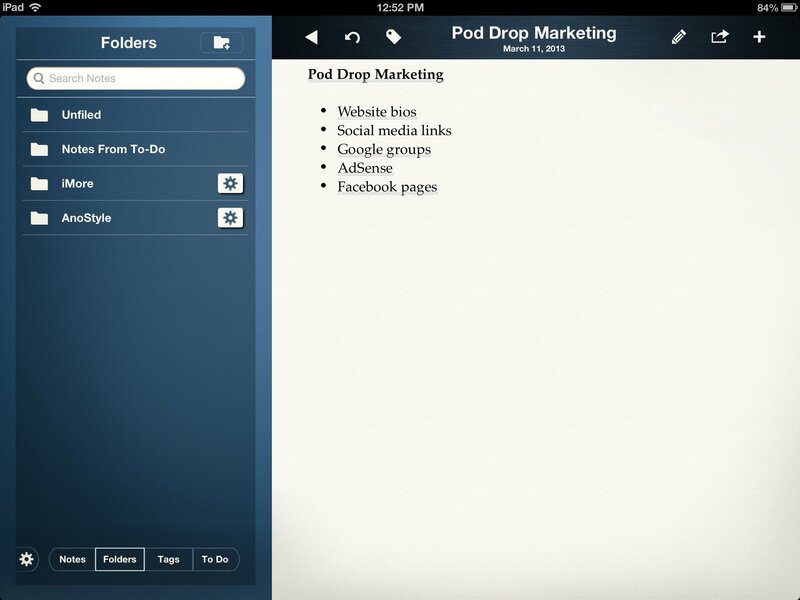 Projectbook also supports Dropbox and iCloud integration which makes for an easy way to share and save your notes. You can also pull in from sources like Pocket and Instapaper as well. The App Store has an abundance of to-do and note taking apps readily available. To be considered one of the best, your product really has to stand out. While Projectbook has a super nice interface and the drawing tools are beyond stellar, there is no iPhone or Mac counterpart which makes it hard to suggest. It's not very often I only need to interact with my notes or to-do's on my iPad. I want to see them on my iPad or Mac when I'm working and on my iPhone while on the go. 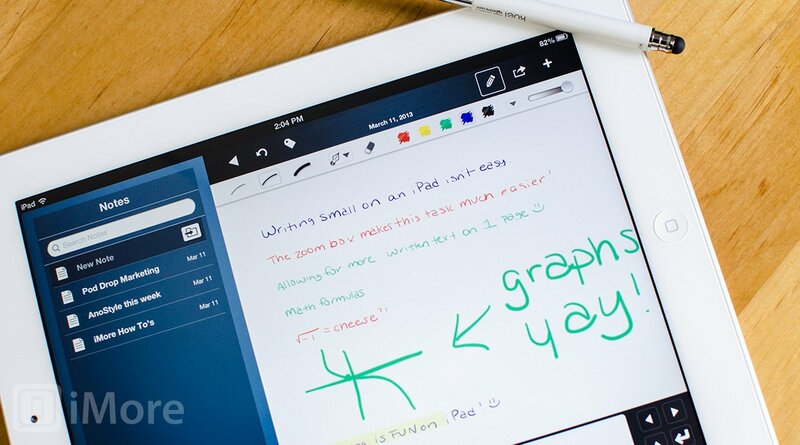 If you're only interested in taking notes on your iPad, Projectbook is a viable option but until there's more cross-platform support, it's hard to recommend it over other apps like Byword for note taking and Things for task management.